At Viessmann, we pride ourselves not just in offering the UK’s most reliable boilers and heating systems, but also in being a knowledge leader in the field. Whether you have questions about boiler replacement or installation, how to make the most of renewable and sustainable heating systems or would like to find out more about how to make your home more energy efficient, our experts are always on hand to provide clear and easy to understand advice on a wide range of topics. To help you find the answers you are looking for quickly, we’ve listened to what are customers are asking and put together a series of FAQs that cover all the most common questions. Does your boiler need replacing? You've come to the right place! Viessmann has essential, in depth guides for all heating systems. Concerned about the efficiency of your heating system? Find out how to lower your energy consumption, reduce costs & get expert advice from Viessmann's specialists. Providing you with heating and hot water, your boiler is no doubt crucial to the running of your home. While high quality boilers today are extremely reliable, there are steps you need to take to keep them in good working order - and arranging regular services is one of these. 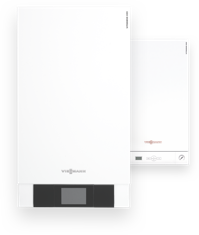 We hope that the above FAQ sections have provided the information you were looking for but if you still have questions about your boiler or heating system, or would like to find out more about installing a cutting edge boiler or heating system from Viessmann in your home, our UK based team of experts will be more than happy to talk to you. Get in touch today and discover why we have a reputation for world class customer service.